Valor Christian high school standout athlete Luke McCaffrey announced on Twitter that he has verbally committed to the University of Nebraska. The youngest of the four McCaffrey brothers, Luke will be the fourth McCaffrey to play Division 1 football in the last decade. His oldest brother Max was a wide receiver at Duke from 2012-15 and is currently on the San Francisco 49ers roster. Christian was one of college football’s most explosive players for three seasons, playing running back for Stanford from 2014-16, before being drafted in the first round by the Carolina Panthers. Dylan redshirted as a freshman at Michigan in 2017 and received the Scout Team Offensive Player of the Year Award from his team. A dual-threat quarterback with above-average athleticism, Luke is ranked a 4-star prospect by 247Sports. The versatile QB held offers from schools around the country, including both Colorado and Colorado State, as well as Michigan, North Carolina, Ohio State, Ole Miss and Washington. As a junior last season, McCaffrey threw for 878 yards and rushed for 548, while splitting reps behind the team’s primary starting QB Blake Stenstrom. Stenstrom committed to play at CU over one year ago. McCaffrey also played wide receiver and defensive back for Valor Christian HS last season. As a wide receiver, he recorded 19 receptions for 147 yards and one touchdown. In three seasons as a defensive back, Luke recorded 37 tackles and blocked one field goal attempt. 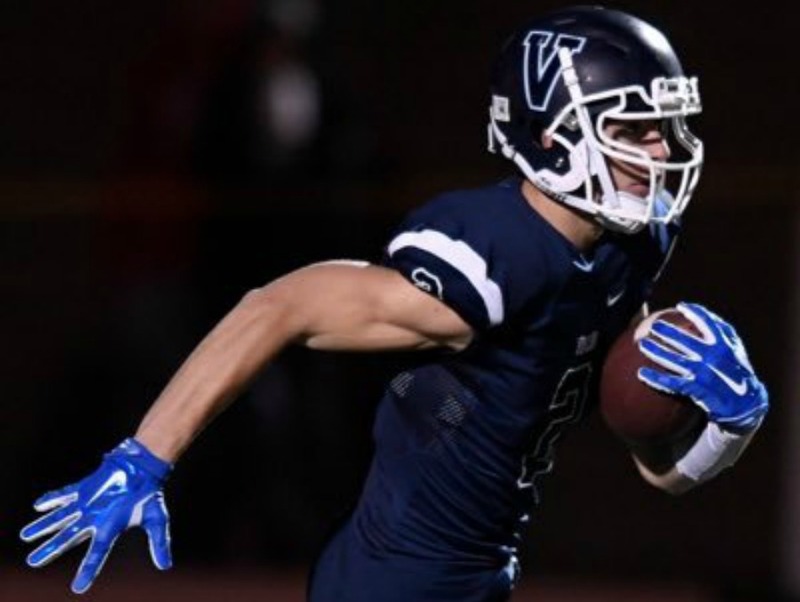 With the commitment of the Valor Christian star and son of former Broncos wide receiver Ed McCaffrey, the University of Nebraska currently has seven commits for its 2019 recruiting class. Nebraska also signed Legend High School defensive end Tate Wildeman as part of its 2018 class, so Luke will not be the only Colorado prep star in Lincoln, NE. if he ends up signing with the Cornhuskers.